In my search for the former parish churches within the boundaries of this group of parishes, I visited Ballingarry last weekend [29 October 2017] and found the former parish church in the heart of the village. There is no apparent trace of the original mediaeval church, although Ballingarry was once the most important parish in a mediaeval Deanery of Garthe in the Diocese of Limerick. The Limerick historian, Thomas Johnson Westropp (1860-1922), mentions a church in Ballingarry since 1172. This church stood near the site of the Church of Ireland parish church. 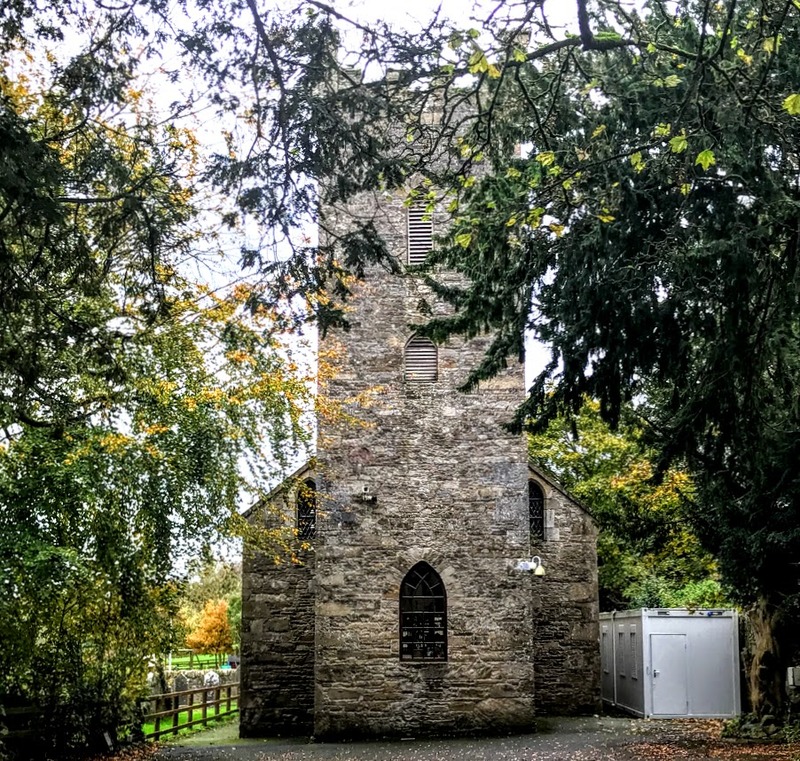 According to the Limerick church historian John Begley, a part of the east gable and two rounded-windows remained at the old church in Ballingarry. This church was dedicated to Saint Evanjanus, whose feastday is on 1 August. 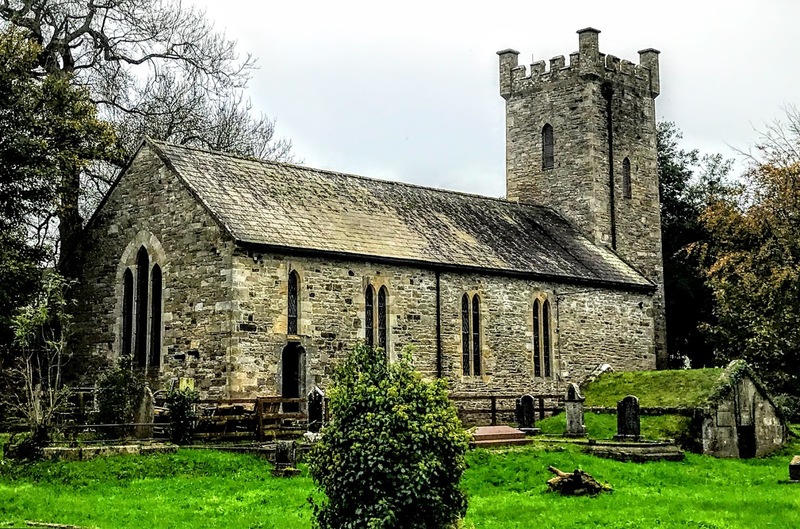 The mediaeval parish church may have been replaced in the 17th century when John de Lacy surrendered Ballingarry Castle and his lands in 1607 to Richard Boyle (1566-1643), Earl of Cork. The de Lacy family seems to have continued to live in the castle under terms of surrender and regrant. The Earl of Cork leased Ballingarry Castle, as well as the lands, rectory and tithes, to David de Lacy, son of John de Lacy, for 21 years at a rent of £75. But Boyle reserved the patronage of the living to himself, and granted it to his cousin, Richard Boyle (1574-1645), Archdeacon of Limerick (1605), Bishop of Cork (1620) and Archbishop of Tuam (1638). Until the early 19th century, the de Lacy castle served as the glebe house in Ballingarry and was lived in by the Rectors of Ballingarry, giving it the alternative name of Parson’s Castle. It must be the most unusual former rectory within my parish. The Board of First Fruits provided the funds for building a new Church of Ireland parish church in Ballingarry in 1820, and the church may have been designed by the Limerick-based architect James Pain. The church is typical of churches throughout this diocese designed for the Board of First Fruits. It is designed in the Early English Gothic style, and the tower provides the main architectural and decorative focal point of the building. The sandstone crenellations on the tower enliven the roofline and emphasise the vertical thrust of the tower. The church has a four-bay nave and a three-stage square-profile tower to the front or west elevation. The tower has sandstone crenellations. There is a pitched slate roof with cut limestone copings and roughly dressed sandstone walls. There are paired lancet quarry glazed windows in the nave, with tooled sandstone surrounds. There are pointed arch openings in the nave, west elevation and the ground floor of the tower. The west elevation has quarry glazed windows and sandstone voussoirs. The tower has pointed arch openings with timber vents on the first and second floors. The triple lancet window at the east end has a limestone surround, and limestone and sandstone voussoirs. The pointed arch opening on the south side of the tower has sandstone voussoirs and a timber battened door. The church has been closed for many years and now belongs to Manutec Ltd of Ballingarry, and is fenced off from the surrounding graveyard. There is a pair of square-profile sandstone piers at the west entrance to former churchyard. The graveyard on the north side of the church has limestone grave markers and a mausoleum. The graveyard contains some elaborate monuments and barrel-roofed vaults. The graveyard on the south side is walled off separately. The nearby glebe-house was built in 1822 with the assistance of a loan of £500 from the late Board of First Fruits. The Revd John Graves (1751-1820) was probably the last Rector of Ballingarry to live in Ballingarry Castle or Parson’s Castle as his glebe house. The Revd John Graves was twice married, had 13 children, and has many descendants. His father, the Revd James Graves (1713-1783), was the Rector of Kilfinnan, near Kilmallock, in the Diocese of Limerick for 38 years. John Graves was a brother of both the Very Revd Thomas Graves (1745-1828), Dean of Ardfert (1802) and later Dean of Connor (1811) and the Very Revd Richard Graves (1763-1829), Professor of Divinity in Trinity College Dublin and Dean of Ardagh. Dean Thomas Graves was the grandfather of Bishop Charles Graves (1812-1899) of Limerick and Ardfert, and he in turn was the grandfather of the poet Robert Graves (1895-1985), who was stationed in Limerick during World War I.
I believe that there are ruins of an old church in the back of the Graveyard adjoining the Protestant church. Very little remains of the ruin are left. It was my thinking that this was a Catholic Church but I may be wrong in that. If one views the Graveyard and the headstones it may appear that this was a Joint Catholic And Protestant Graveyard. It is my opinion that the back of the Graveyard is the Protestant section and the front being the Catholic Section with all the small marking stones....I could be completely incorrect in my thinking. Yes Elizabeth...on the south side of the 19th century church the surviving bits of the medieval church noted by Westropp and Begley survive. Some famine burials here methinks as both "new" graveyards are too young for famine graves imo. Lovely pictures and useful information as I research my 4th Greats Matthew and Brigid Murphy who took the kids over to London 1845. I can't imagine the contrast from being born, and labouring in this countryside and straight into dire poverty of St. Marylebone. and the workhouse infirmary. As one would wish, the kids did well!